Another great 2017 roundup review, and once again I notice what legendary company I'm keeping on these lists. I'm so pleased! Thank you Stationary Travels! 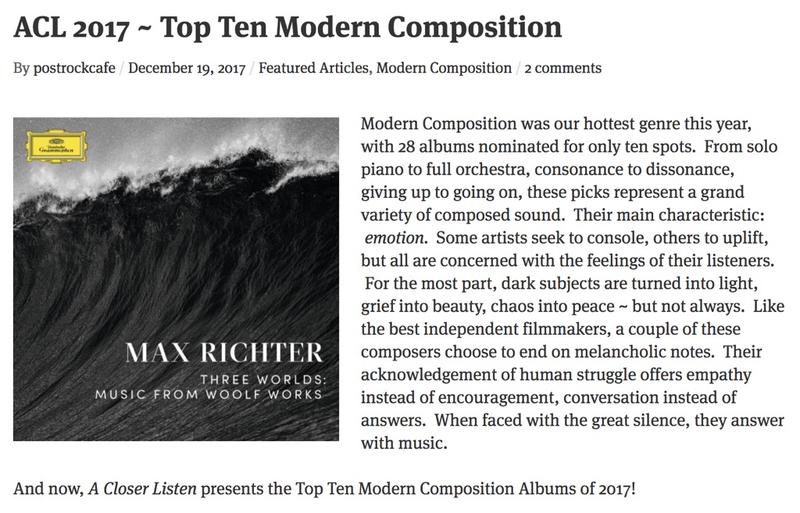 I was so honoured to see Rococochet included in A Closer Listen's Top Ten Modern Composition for 2017 list. I clipped the relevant bits below, but click on the link to see the legendary company I'm keeping here! *chuffed* Thanks ACL! "Over the course of an hour, eleven artists (twelve if you count the duo) adopt what they wish to salvage or repeat in the work of the prior contributor. As expected, the piano and strings continue to sound like Kardos in Madeleine Cocolas’ “Stalactite”, which comes across as a reinvention. But as the markers are blurred or erased (like pencil lines, faded yet still discernible), the song begins to morph. Put to rest any fears that listening to The Exquisite Corpse is like listening to a long remix album, because it’s a set of constant change. “Spirit Level's Kindred Spirits is a demonstration of how artists are pushing the traditions of piano music forward. 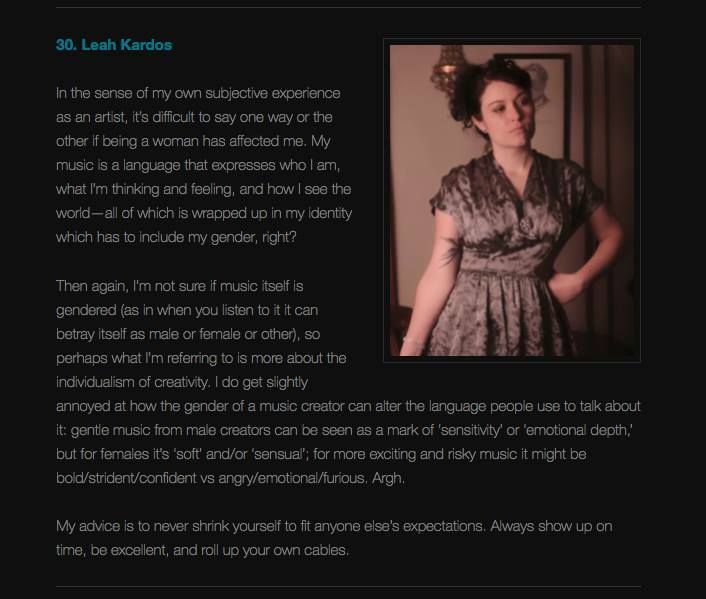 It’s in the subtle textural details of Leah Kardos’ ‘Novice’, where the percussion flutters in the right channel and the high notes dart between, or the mechanical chirp that gives way to noirish mood-setting on Re/search/er’s ‘Love Will You Love Me When I’m Not The 1’, or the wooden tapping on the keyboard on Luke Howard’s cover of Telling’s ‘Monuments’." "My advice is to never shrink yourself to fit anyone else’s expectations. Always show up on time, be excellent, and roll up your own cables"
I was so pleased that The Shortlist Magazine included by latest track Little Phase in their Shortlisten list/playlist. I'm number 360, sandwiched between Ronika and Love Thy Brother. What an honour! The track has also received some love/airtime on the excellent Utility Fog show, FBi 94.5 FM in Sydney. What’s the story? Making interesting and arresting ambient music is not an easy thing to do, but we wrote earlier this year about a fantastic track from The Daydream Club, who'd managed it with aplomb. 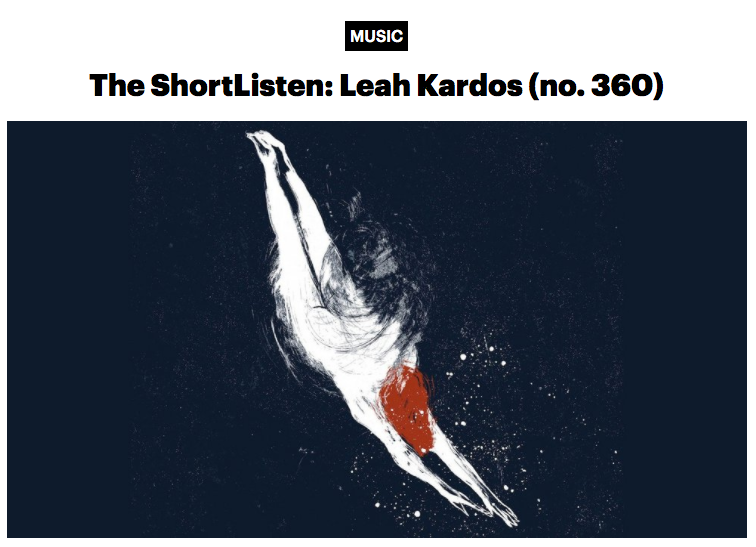 Now along comes another beautiful five minutes of 'ambient plus' music from Australian-born composer Leah Kardos, which gently builds, beginning with pulsing piano chords, adding in delicately textural strings, before seeming to collapse in on itself until beats are brought in to restore order and take things to a conclusion. It could nestle in perfectly on The Album Leaf's 2004 classic In A Safe Place, which gets it the big thumbs up from us. The track features on a compilation of experimental music called Summer - you can check out the other songs and buy it here. 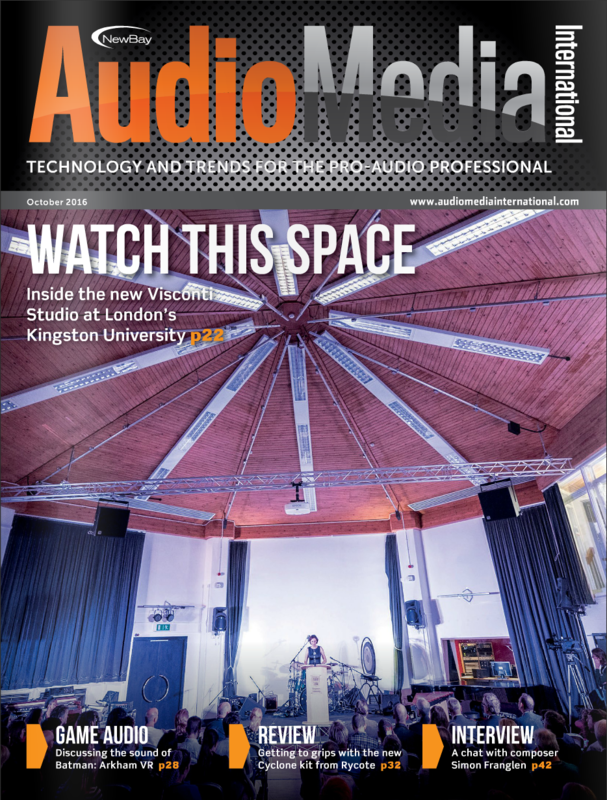 In three words: Captivating, blissful music"
This month, our studio is a cover girl. 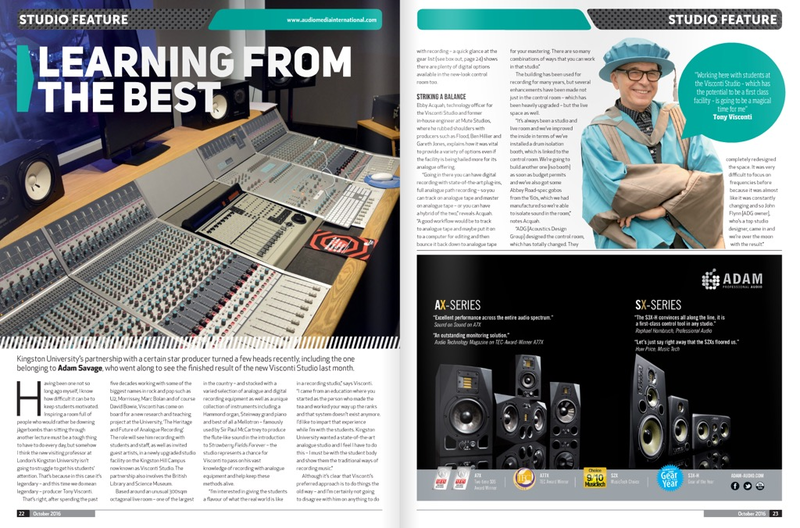 Click on the image below to access the online reader and check out the feature article on pg 22. "Reading the various reviews of the Maria Abramović/Igor Levit’s Goldberg production at the Park Avenue Armory, the most consistent idea expressed is that listening to great music requires some sort of separation from the regular world. That’s a matter of personal values, not objective truth. The experience of great music can be powerfully enhanced by—or music can be made great in no small part due to—the experience of the real world. 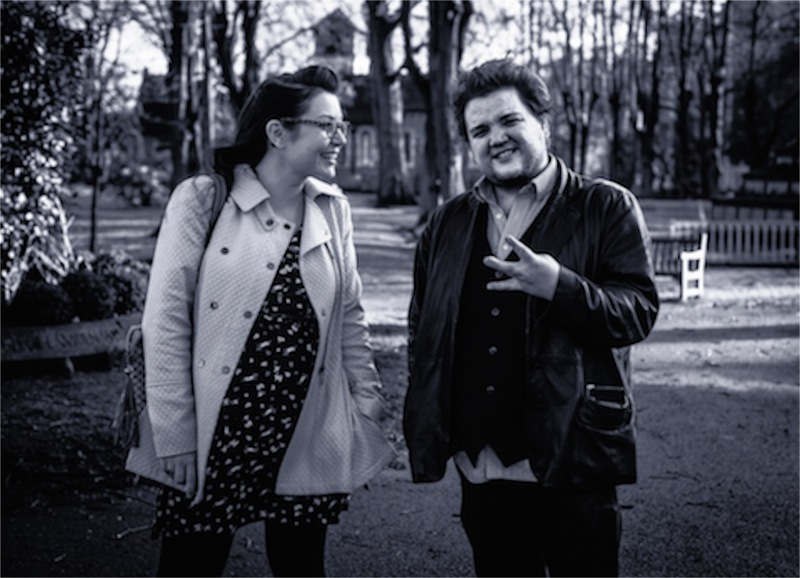 Pianist R. Andrew Lee’s program of Schubert and new music by Michael Vincent Waller, Leah Kardos, Adrian Knight, and Galen H. Brown was already as strong and luminous as polished steel. But his simple acknowledgement of the June 17 massacre at the Emanuel A.M.E. Church in Charleston, meant that the beauty of Knight’s Abide With Me and the visceral, frightening brilliance of Brown’s God is a Killer, bore witness to real world experience. And so excellent music became great art." 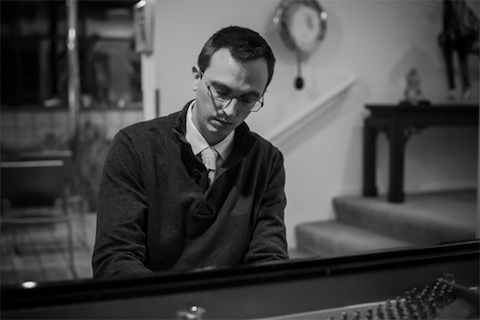 Here's a thoughtful review by George Grella (New York Classical Review) of Andy Lee's performance at Spectrum, featuring a programme of music by Schubert, Michael Vincent Waller, Adrian Knight, Galen H. Brown and myself. "… It’s not feel-good music, but by making honest order out of nothingness, it presents clarity and logic as opposed to chaos and the incomprehensible. And that is what Lee achieved. The music, the conception and Lee’s playing all built transparent, multidimensional structures. It was a beautiful design, full of satisfaction and hope." What makes Machines instantly unique and captivating, is the soprano of Laura Wolk-Lewanowicz, an Australian opera singer. The angelic voice, teamed with the theme of the album, create a very touching commentary on the current human condition. The lovely Madga Wrzeszcz has reviewed Machines for Echoes and Dust. Click here to read more. The concert at Australia House last week was by all measures a great success, and what an honour to have my music played by this fantastic orchestra! Big congratulations must go to Kelly Lovelady for pulling it all together, and to the Government of WA for hosting the event and putting on a lovely reception. The concert opened with a new work, Kick, by Leah Kardos. This is Ruthless Jabiru’s first commission, and it was a great opener. Kardos uses a small palette of string textures, including long vibrato-less pedals, tremolos and portamento slides, and integrates them into a tightly structured and impressively focussed work. The skill and professionalism of this orchestra, and its founder and principal conductor Kelly Lovelady, was clearly evident throughout the performance, not least in their handling of the first piece – a commissioned work from UK-based Australian composer Leah Kardos, Kick. This fantastic piece evoked visions of a sunrise over an outback property, the building melodies of a single viola and violin sounding out like the Australian bush slowly waking and coming to life. Here's a write up about the event that was posted on the Government of Western Australia European Office's news page. It includes details of some of the dignitaries that were in attendance as well as some photos from the night (though it's hard to see, in the last photo I am the one in the blue dress taking a bow with Kelly at the front). 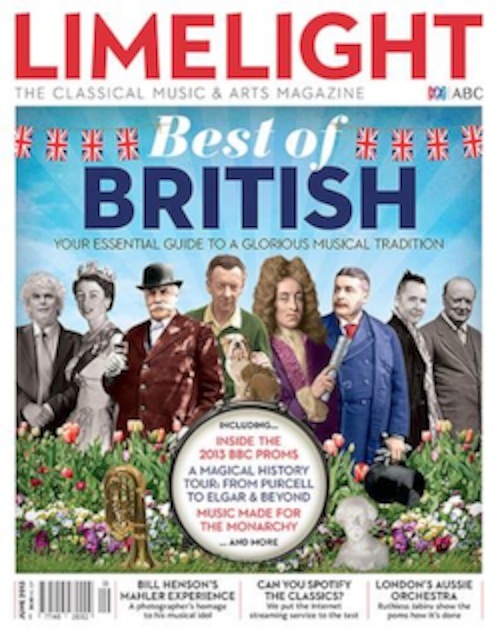 Finally, there is a great article about Kelly and the orchestra by Gavin Dixon, specifically referring to this concert, in this month's Limelight magazine (available digitally here, with print versions available in Australian outlets). 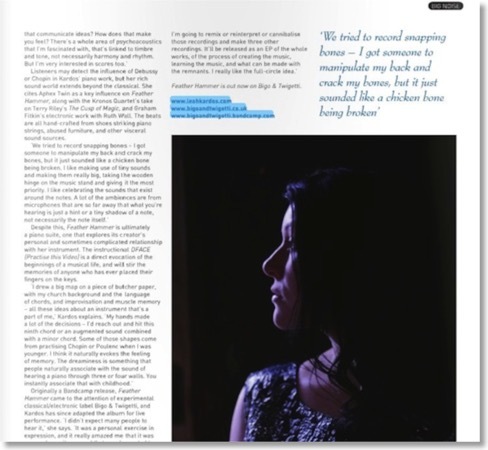 *edit* - I found the Limelight Magazine feature online here. 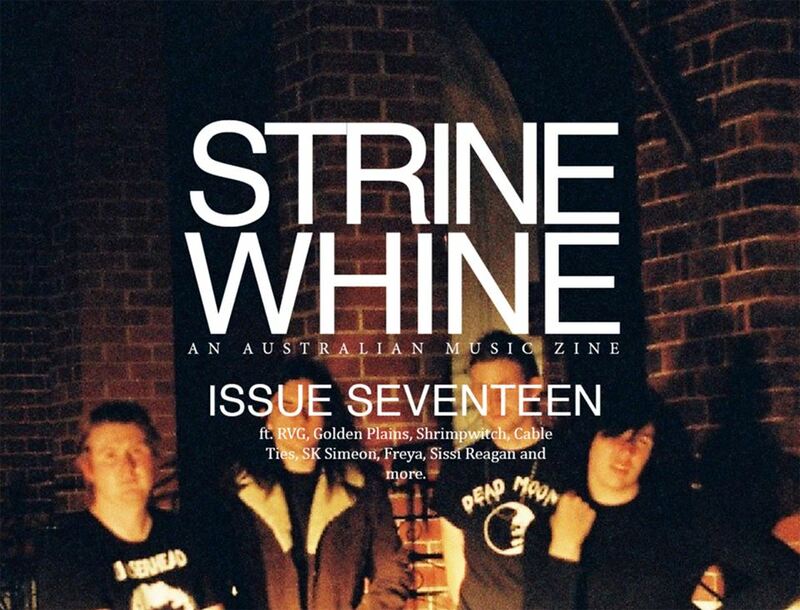 Feeling rather privileged to have been featured in what turns out to be the very last ever Muso Magazine (August/September 2012 issue). In the piece, Matt Evans fashions my blathering into what turns out to be coherent and interesting article, in which I appear to know what I'm talking about! Kudos to him! I talk in depth about Feather Hammer, my background and reveal some details about my next piano-centric release, the 'Three Preludes' EP. If you can't find a printed copy, it's free to read online (I think you just have to register), or available to purchase via iTunes and the newsstand app. 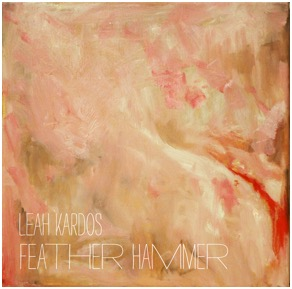 "...Feather Hammer is an album that I wish I made. And that’s pretty much the highest praise I can give to any album. Period." And here's an interview I did with them, too. Yay! While in New York City last week, I had the great pleasure of finally meeting up with long time twitter friend and fellow composer Thomas Deneuville, who runs the great new music blog I Care If You Listen (which you should all check out immediately, by the way). We got to hang out together at the gorgeous Steinway Hall, in the Henry Z Steinway recital room. He asked me a few questions and I performed a slightly ropey improv around the themes from Feather Hammer's Katerina on a piano probably worth more than my house. Check out the video below. "If I had to pick only one word to describe this self-released debut album, it would have to be ‘captivating’. When I signed up for reviewing it, I was warned it’s going to be ‘a bit weird and tricky’. It turned out to be my own musical Rescue Remedy... "
"And yet for all its post processing and carefully crafted grooves and textures there emerges this amazingly heavy lightness to the whole recording. The craft and the ideas in this music run deep without overwhelming the sound. It's a startling quality and it's one that invites multiple listening to an expression that explores new directions in studio composition." "It's obvious that the piano is the center instrument on this album, but it's the use of recording techniques and special recording effects that really make the difference."... "If it sounds fragile or unstable, that only underlines the solid quality of these compositions. I guess that's what makes this album such a pleasant surprise to listen to." 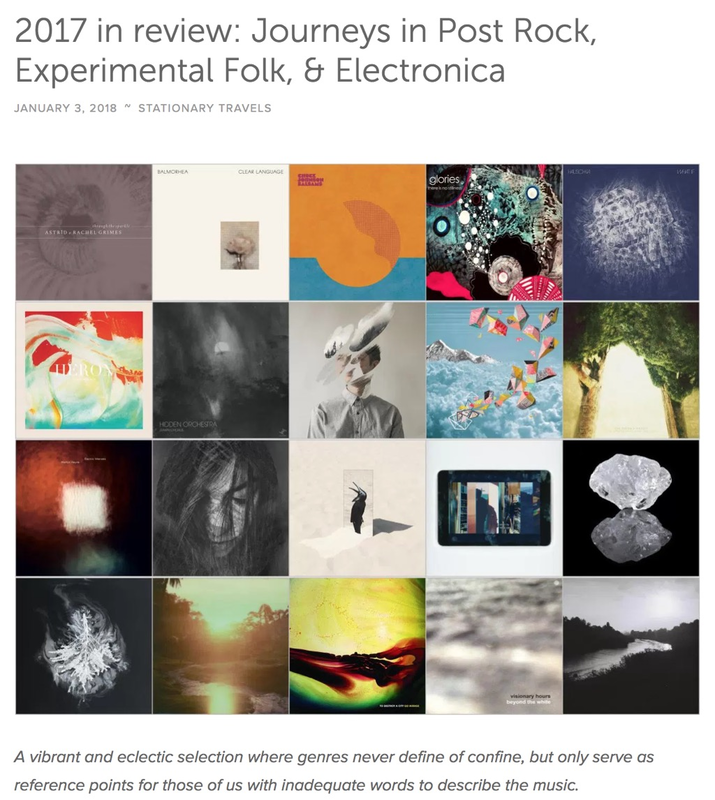 "Engagingly listenable and attention-worthy, the cuts also work as ambient sound that tickle the brain when you don't even know the sound is there. Hardly invisible, each track is intricate and dynamic, reminiscent of David Bowie's "Low" album." Amazing, right!? I continue to be floored by the response I've received since releasing Feather Hammer - to know people are out there listening it on their ipods or in their homes and enjoying/engaging with the sounds I made in my little bedroom studio is the best feeling ever. I can't imagine what could top that, maybe sitting in RAH listening to a symphony orchestra blow your face off with your own chord, but I'm a long ways off that ever happening. In addition to those awesome reviews and mentions, I also had the extreme honour of being included in some best of 2011/year end lists, mixtapes and podcasts. Click on the links to check them out; I definitely recommend downloading the mixes, there's so much great music out there to discover. "This is ambient coming at it not from the dub and dance sources of The Orb but the more austere, aescetic end of classical chinstrokers John Cage and John Tavener. There’s also something about the scale of this music. Like some of Tavener’s Orthodox chant pieces and especially The Protecting Veil they either need to be heard very small and personal or at an enormous and public scale like the Albert Hall. But there’s less the sense of being small in the face of a Deity, rather small in a pained and personal suffering way." 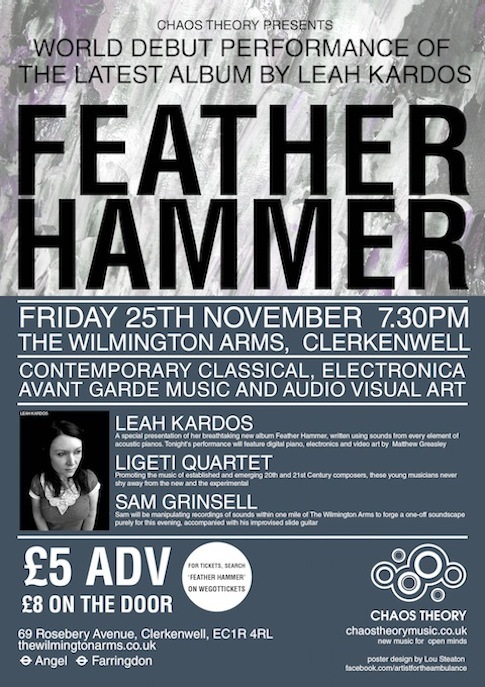 "This blissful yet daunting at times piece of art will take you on a journey"
"Feather Hammer is truly DIY at its finest - full of warm tones and beautiful piano. It's one of those EPs that makes you want to put your headphones on and stand in the middle of a four way intersection at 3 am, watching the brief solitude of a once busy street, observing the traffic lights change for nobody but you." "Classical music is so much more than dead white composers. Leah Kardos is living proof of what it not only can be, it moves toward what it may be in the years ahead... The music is a mixture of styles and influences from Debussy to Tavener, Shostakovich to Bryars with pop elements from Bowie, Brian Eno and The Flaming Lips. From this rich tapestry we are given a sonic-scape that transports us into a distant world of colors, shapes and sounds like nothing I've heard before. At times the music is opaque and difficult to see clearly all that's happening, while at other times there is a clear lyric glide to the musical lines that float over the listener with utter beauty." So it is out there, and it seems that people are enjoying listening to it. As a composer, I cannot imagine a better feeling. A big thank you has to go out to the people who tweeted, responded on facebook or emailed me their beautiful comments and reactions - my heart is full. Now I'm getting prepared to present the version of it at the premiere event on Nov 25th (tickets here!). Expect some divergences, I want to make room for lots of improv. There'll be none of this 'press play' business you see so often with the performance of electronic works! Slackers.